Dr. Dr.phil. 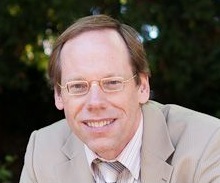 RENE VON SCHOMBERG is a science and technologies studies specialist and a philosopher. He is an author/(co-editor) of 14 books. He holds Ph.D’s from the University of Twente, the Netherlands (Science and Technology Studies) and J.W.Goethe University in Frankfurt am Main, Germany (Philosophy). He has been a European Union Fellow at George Mason University, USA in 2007 and has been with the European Commission since 1998. Here is the SCAR report I mentioned today at your presentation in Wageningen on research and innovation in agriculture. A new report on EIP agricultural productivity and sustainability is in the making.